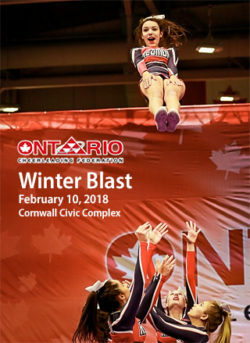 Cornwall Ontario – The Cornwall Civic Complex will be full of cheer on Saturday, February 10th as the Ontario Cheerleading Federation hosts its Winter Blast Competition. 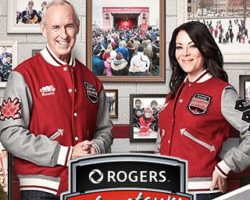 The day-long event will feature over 20 teams and 400-plus competitors from across Ontario and Quebec, including Niagara, London, Waterloo, Toronto and Ottawa. The higher-level teams (Levels 5 and 6) will be vying for a bid to attend the world championships in Orlando later this year. It marks the first time that an event of this nature is being held at the Civic Complex. The OCF team has been working with City officials for several months now to plan for the event. Interested residents can take in the sights and sounds of the competition. The event will run from 10 am to 6 pm, with the doors opening at 9 am. Tickets are $15 for adults and $10 for children (ages 6-12) and seniors. The arena floor inside the Civic Complex will be split in half with the action taking place on a spring competition floor before a panel of judges. The Ontario Cheerleading Federation promotes, fosters and regulates cheerleading in the province of Ontario thus furthering the character and development of young athletes. The federation’s industry-leading competitions provide high-quality, cost-effective events for Ontario’s athletes to perform and showcase their skills. For more information, please visit www.OCFCheer.com. 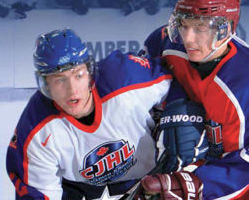 Situated in scenic Lamoureux Park along the banks of the St. Lawrence River, the Cornwall Civic Complex is a versatile facility that plays host to hockey games, conventions, concerts, marriages and other special events throughout the year. The heart of the Civic Complex is the Ed Lumley Arena, a modern ice rink that boasts state of the art rink boards, an electronic scoreboard and seating for up to 5,800 people. 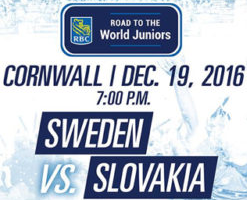 For more information, please visit www.Cornwall.ca.